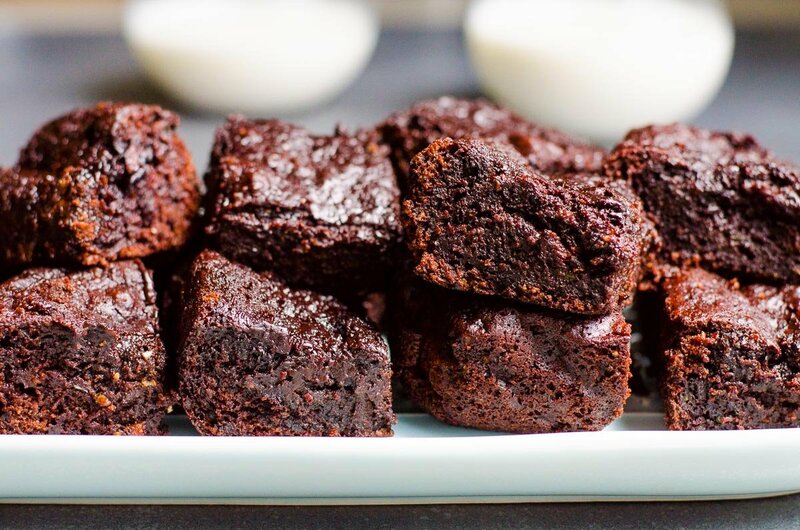 These zucchini brownies are a pure delight! An old recipe of mine that needed a photo makeover. Everyone in my household was particularly excited for this re-do. 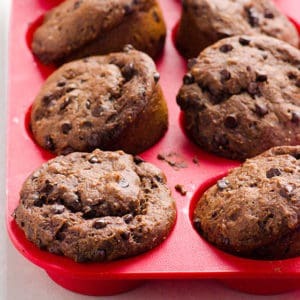 Just like for the black bean brownie recipe! 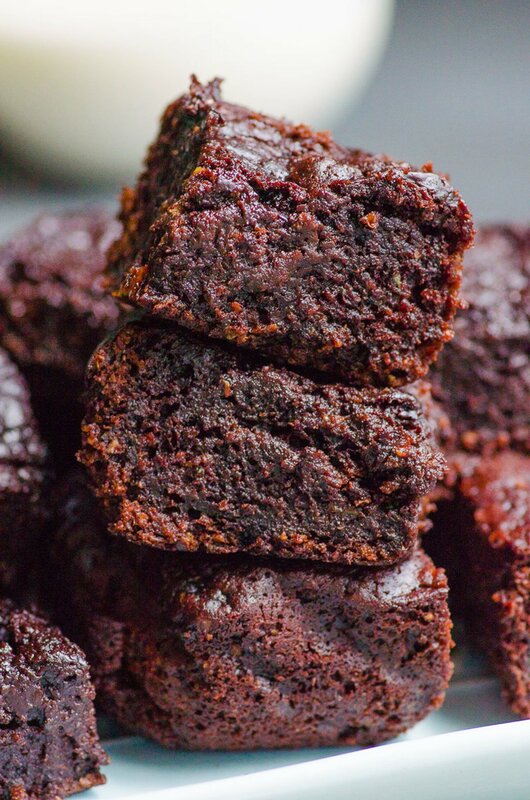 These healthy brownies are fudgy! 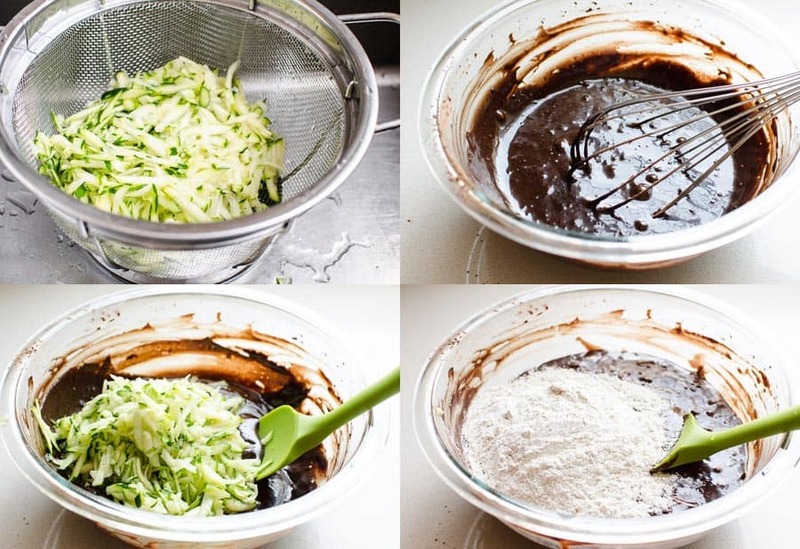 Coconut oil, liquid from zucchini and zucchini itself make brownies very moist. That is why we do not squeeze out zucchini completely. Just a gentle squeeze. 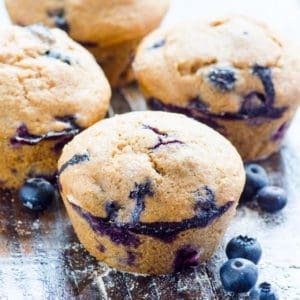 Please read the recipe. Assume nothing. 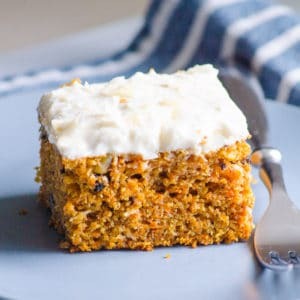 All zucchini brownies use different techniques. And baking is a science. 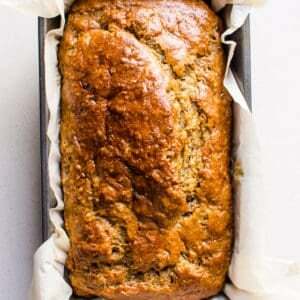 Zucchini brownies taste even better the next day as they settle and cool off. That’s when brownies become really fudgy as coconut oil solidifies and settles. At first brownies might look like cake. There is no such obvious crust on healthy brownies as with their butter and sugar counterpart. Obviously. However, if you cut and place brownies on a plate, their sides and edges will dry up a bit overnight. In fact, brownies taste better the next day. No frosting, friends. No 1 cup of butter + 2 cups of icing sugar frosting. 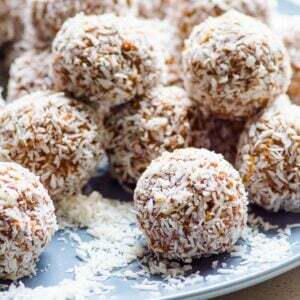 These are healthy brownies. Healthy. Place zucchini in a colander while you are getting other ingredients ready. 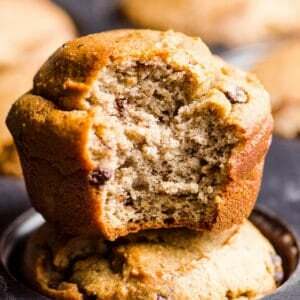 Do not overpack your measuring cup with zucchini because even extra 1/4 cup increases baking time. In a large bowl, add egg, oil, maple syrup and pure vanilla extract; whisk to combine. Add cacao powder and whisk until well mixed. Give zucchini a gentle squeeze but do not ring out liquid completely. Add to a bowl and stir. Add flour and mix well until combined. Pour into prepared baking dish. Bake for 28 minutes at 375 degrees F preheated oven. Do not over bake as brownies will have more of a cake consistency. A toothpick inserted has to come out somewhat not clean. If centre is too jiggly bake a bit more, ovens vary and brownies are T sensitive. Remove from the oven and let cool for about an hour in the pan. Baked zucchini brownies top should be soft and glossy and the centre not too jiggly. 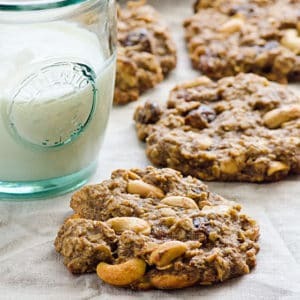 Lift by the parchment paper flaps and transfer to a cooling rack to cool off completely. Cut into 16 squares. How to Store and Can I Freeze? Here is how I generally store these zucchini brownies. Brownies become fudgier the next day, especially if stored cut up and separated or refrigerated. I leave them on a plate covered with kitchen towel on a counter overnight or for another night. Then in the fridge they go. 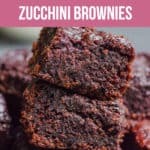 Since zucchini is a summer vegetable when many people make this zucchini brownie recipe, if it’s too hot outside I refrigerate brownies by the end of the day I baked them. And for up to a week. Freeze in an airtight container for up to 3 – 4 months. 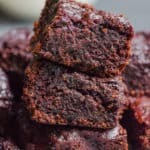 Fudgy and Easy Healthy Brownies Recipe nobody will be able to tell these brownies contain sneaky veggies! Taste even better next day. Place zucchini in a colander while you are getting other ingredients ready. Preheat oven to 375 degrees F and line 8 x 8 baking dish with unbleached parchment paper. In a large bowl, add egg, oil, maple syrup and pure vanilla extract; whisk to combine. Add cacao powder, baking soda and salt; whisk until well mixed. Give zucchini a gentle squeeze but do not ring out completely, add to a bowl and stir. Add flour and mix gently until combined. Transfer batter into prepared baking dish and level with spatula. Bake for 25-28 minutes or until the centre is barely jiggly. Do not over bake as brownies will have more of a cake consistency. A toothpick inserted has to come out somewhat not clean. If centre is too jiggly bake a bit more – ovens vary. Remove from the oven and let cool for about an hour. 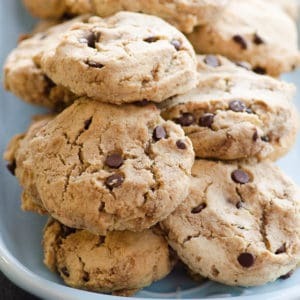 Lift by the parchment paper flaps and transfer to a cooling rack to cool off completely. Cut into 16 squares. Store: In a glass airtight container in a cool dry place for up to 4 days. If it’s hot outside, refrigerate for up to a week. Freeze for up to 3 – 4 months. 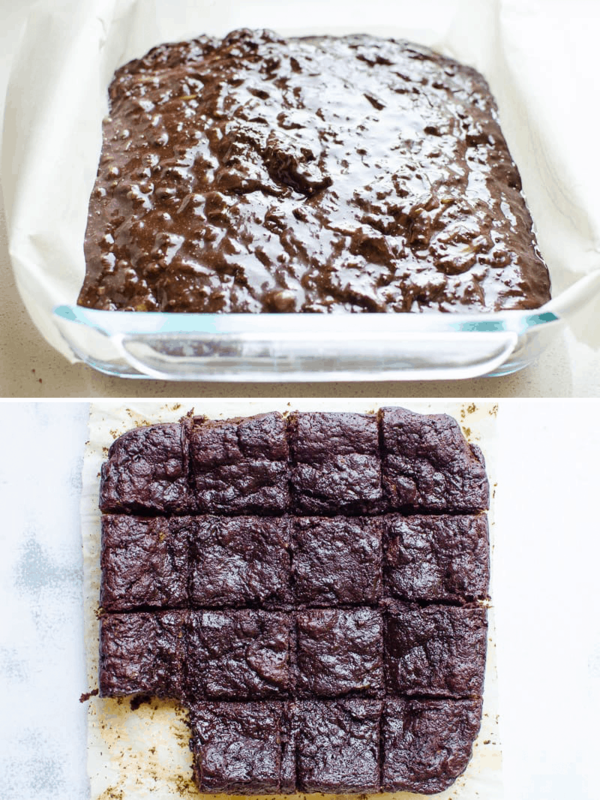 Brownies become fudgier the next day, especially if stored cut up and separated or refrigerated. I leave them on a plate covered with kitchen towel on a counter overnight.